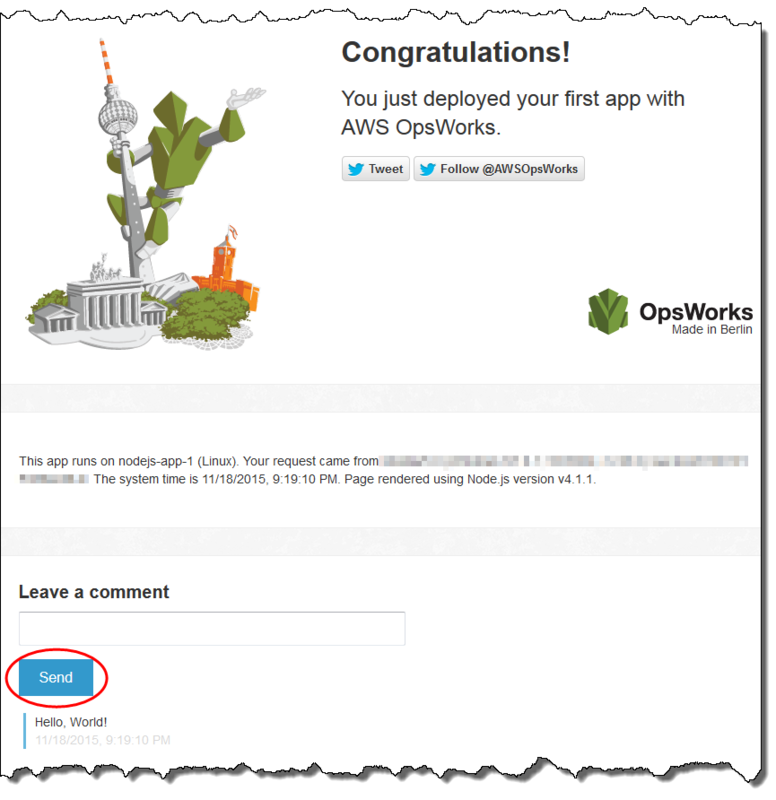 Test the results of the app deployment on the instance. With the Instances page displayed from the previous step, for Node.js App Server, for nodejs-server1, for Public IP, choose the IP address. On the congratulatory web page, in the Leave a comment text box, type a comment, and then choose Send to test the app. The app adds your comment to the web page. Continue leaving comments and choosing Send as often as you want. If you have a Twitter account, choose Tweet or Follow @AWSOpsWorks, and follow the on-screen directions to tweet about the app or to follow @AWSOpsWorks. You have now successfully tested the deployed app on the instance. In the remaining steps, you can use the AWS OpsWorks Stacks console to explore settings of the stack and its components. In the next step, you can start your exploration by examining the stack's settings.